Journal Of A Petite Diva: SAVINGS MODE ACTIVATED….. I recently saw this on a hair facebook group page. The lady who posted it is a Ghanaian and she was challenging her readers to save 1378 GHC. Unfortunately I don’t think 1378 naira would be quite substantial so I think it is best to say that modifying it is important for us Nigerians if we want to benefit from the challenge. I think depending on your capability, instead of 1 naira you can equate 1 dollar to either 10 naira, 20 naira, 50 naira, 100 naira and higher even 10000 naira if you have so much money. It means if you equate 1 dollar to 10 naira, at the end of the 52 weeks if you are consistent you would have 13780 naira. If you equate it to 100 naira, you would have 137800 naira. And if you equate 1 dollar to 10000naira and stick with the program you should have 13,780,000 naira. So the more you put the more money you would have at the end of the challenge. However you need to be consistent and fix a certain amount at the beginning of the challenge. No need starting with 5000 naira for week 1-5 then reducing to 3000 naira afterwards. If it is 50 naira you decide to start with, you have to stick with it. I am hoping that I can embark on this challenge because I really need to work on my saving habit. I am still trying to decide what amount I would eventually stick to and where I would keep the money. I need a bank account that i won’t have access to. 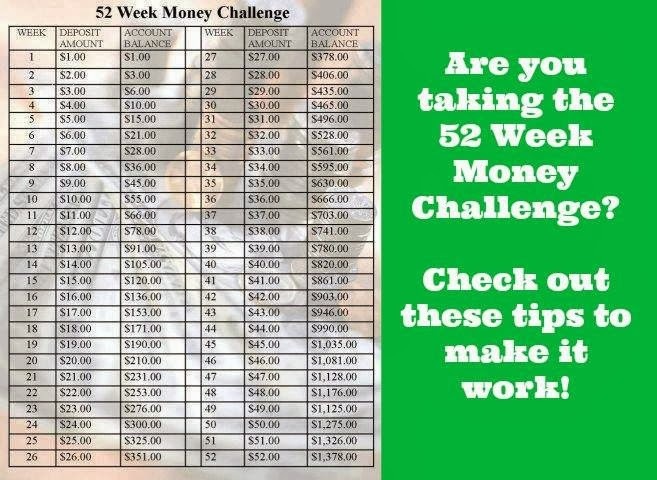 And because I can’t go to the bank every week I would tweak my challenge to a monthly one. I would save the money monthly. Maybe if I had a konlo (clay piggy bank) I might have done the weekly challenge (reasons why I miss home, they don’t have konlo here). And before I am yabbed I like Konlo, there is technically no way to get the money out after putting it inside except you want to break the pot so it used to help me save a lot when I was younger….Yep!! I have so many quirks. I do hope some of you do take up the challenge. Since this week is technically the first week in this year (or half a week) i think that there would be no better time to start than now. Yay! someone who knows what i am talking about..#Konlo things. 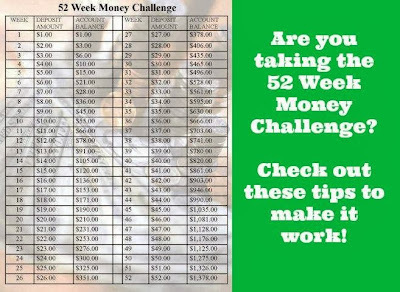 As for the challenge, it is a weekly thing not daily and if you would increase it later it means that for the weeks that you kept a less amount you would have to increase those too so that you can get the desired end amount. My dear, dt kolo idea is cool ooo. Kolo mode acrtivated, inspired already. Super Yay! I am so glad it has inspired you. We must make it to the end of the challenge.